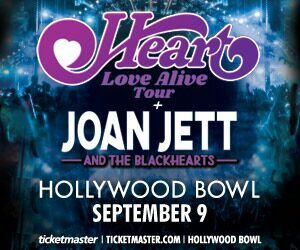 Thanks to our friends at the Hollywood Bowl, 88.5 FM is giving away tickets to see Heart, Joan Jett & the Blackhearts with special guest Elle King on September 9th. Contributing Members are automatically eligible to receive a pair of complimentary tickets by signing up below before 10:00 p.m. (PT) on Sunday, February 17th. Winners are randomly selected and will be receive a confirmation by email prior to the show date. You must be Opted In to allow us to email you. You are Opted In if you are receiving our Perks Newsletter, however if you are not, please email membership@885.FM and your account will be updated. No purchase necessary to enter. More information about this show Here. 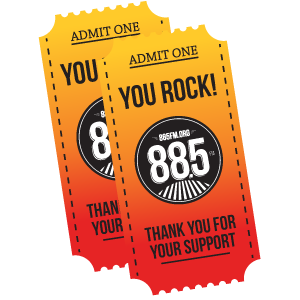 Current 88.5FM Contributing Members are automatically eligible for free tickets all year long. If you are not a current 88.5FM Contributing Member but would like to be, click here to become a 88.5FM Member and a select a gift for your support. Or call 818-677-5580 during business hours, we can take your pledge over the phone! If you're already a Member - Thank you very much!